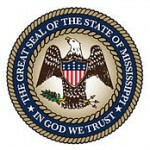 A worksheet that provides you with a formula for calculating child support is available with the department of human services division of field operations in Mississippi. If you want to know how much you will be receiving from the other parent, you can use this worksheet to work out the child support contribution. However, this amount may not be the actual one as the court can adjust the figure depending on the circumstances that come up. Step 1: Determine your gross income and less all the allowable expenses or deductions as allowed by the court. Step 2: Take the amount you get in step 2 and multiply it by the percentage that corresponds to the number of children that need your financial support, as contained in the document below, to arrive at the child support obligation you should pay.